Negative karma is the source of all suffering, hardships, and misfortunes we experience in life. Although karma is a law of nature, there are remedial measures in the form of spiritual technology that can nullify its influences. Just as modern doctors have created different medications to heal different kinds of sickness, the Ancient Seers have created different remedies to nullify different kinds of karma. Overcoming karmic suffering is an emergency, and to overcome it you need to use the “emergency clinic” of spiritual technology. Ganesha is the Archetype who specializes in smashing through karma in the shortest amount of time possible. His spiritual technology is the most effective spiritual technology on the planet when it comes to getting results. Dr. Pillai has revealed a very powerful Ganesha vortex known as “Ekadasa Vinayagar,” or the 11 Ganeshas, to perform special karma nullifying spiritual technology. The 11 Ganeshas found in this vortex are said to have been installed by Vishnu himself, on the recommendation of Shiva, to reclaim 11 forms of wealth he had lost. Spiritual technology performed at this power center on your behalf can put a swift end to your negative karma. It is, in a sense, an emergency clinic for karmic suffering. Note: The rituals are designed to bring in total change in your life. This ritual schedule will be given only on 4th Moon or 14th Moon on first come, first serve basis. Participate in the Emergency Karma Clinic Package. An individual homa, Abhishekam and archana will be performed to Ganesha at the powerful 11 Ganesha Powerspot. It is considered that Archetype Vishnu, as per the advise from Shiva in order to regain his wealth, installed 11 Ganeshas here, when he lost 11 type of wealth out of the 16. 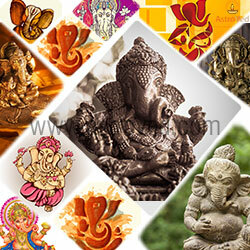 Ganesha has special powers to remove stubborn karmic blocks in the areas of finance, career, relationship and health. 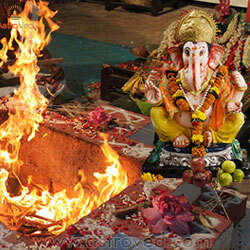 Offering your prayers to Ganesha by mentioning your main problems/obstacles/issues can help you solve your problems. Note: The rituals are designed to bring in total change in your life, which will be performed only on 4th Moon or 14th Moon. 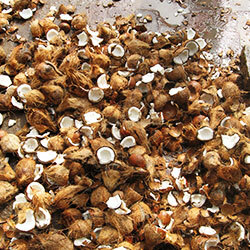 Please Note: Your Prasad will be shipped from Chennai, Tamil Nadu. 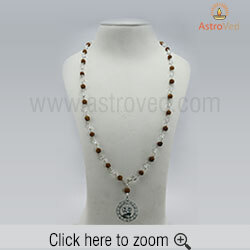 Please allow 2 – 4 weeks for delivery time after the entire set of rituals is performed.